Portillo Place in Green Valley, Arizona is a small age-restricted enclave of single-family homes that welcome active adults aged 55 and better. With fewer than 30 residences, it is a tight-knit neighborhood where everyone knows their neighbors. Although smaller than most 55+ communities, residents of this Green Valley neighborhood still have access to the amazing amenities and events hosted by Green Valley Recreation (GVR). Residents of Portillo Place also enjoy the community s location in Southern Arizona for its warm climate and year-round outdoor recreation. Membership fees to Green Valley Recreation (GVR) allow unlimited access to a network of facilities designed for active adults. Spread throughout the Green Valley area, GVR's 13 recreation centers include meeting rooms, hobby studios, fitness centers, ballrooms, dance studios, and more. Outdoor amenities include 13 swimming pools, numerous sports courts, miles of walking trails, and fishing lakes. With multiple restaurants and ballrooms, residents always enjoy different ways to socialize with neighbors. Developed by Pierce Homes between 1998 and 2005, Portillo Place is a small enclave of just 28 active adult homes. This neighborhood was designed for 55+ homebuyers with ranch-style residences and low-maintenance exteriors. More favorable features include open floor plans and private backyards, ideal for entertaining. Most homes within Portillo Place have two to three bedrooms, two to three bathrooms, and a garage. Homeowners of Portillo Place pay GVR fees to access an envious lineup of amenities and activities. Throughout the year GVR hosts lectures, plans trips, and teaches classes on various subjects. Residents looking to fill up their social calendar can attend dances, or join clubs based on common interests and hobbies. In addition, there are dozens of clubs that focus on arts and crafts, games and cards, and sporting activities. With less time having to worry about keeping up with a large high-maintenance home, residents of Portillo Place have more time to experience physically active and socially engaging lives. Portillo Place in Green Valley, Arizona is located off West Esperanza Boulevard. Its homes are located on two streets, West Cam Tierra Libre and West Camino Tierra Libre in Pima County. Green Valley is filled with numerous 55+ and active lifestyle communities. Outdoor enthusiasts will appreciate the warm climate of Southern Arizona, outdoor recreation provided by the Santa Rita Mountains, and numerous local golf courses. 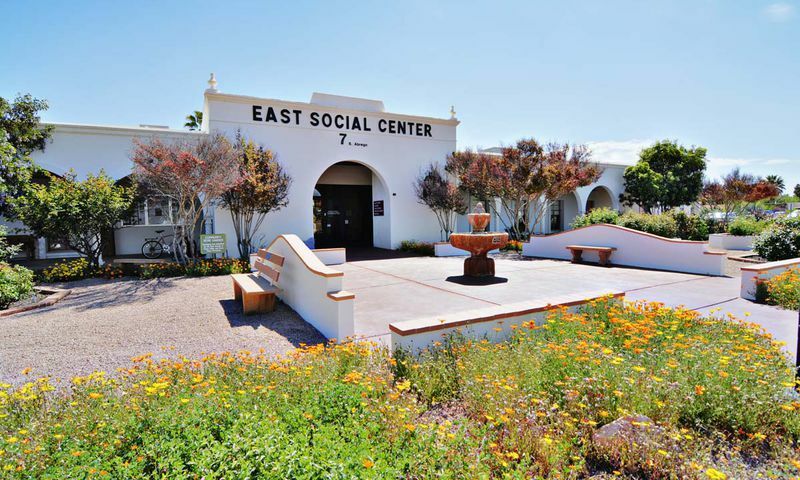 With a prime location just west of I-19, big-city entertainment and an international airport are just 30 minutes away in Tucson. Those looking for a small 55+ neighborhood that is quiet, yet offers a vibrant active lifestyle, will enjoy living in Portillo Place. There are plenty of activities available in Portillo Place. Here is a sample of some of the clubs, activities and classes offered here. Portillo Place is an enclave of just 28 homes situated off West Esperanza Boulevard on two streets, West Cam Tierra Libre and West Camino Tierra Libre. Pierce Homes developed these ranch-style homes for active adults with 1,500 to about 1,900 square feet of living space. Most residences have two to three bedrooms, two to three bathrooms, and an attached garage. Please Note: Due to the size and age of this community, floor plans are not available at this time. 55places.com is not affiliated with the developer(s) or homeowners association of Portillo Place. The information you submit is distributed to a 55places.com Partner Agent, who is a licensed real estate agent. The information regarding Portillo Place has not been verified or approved by the developer or homeowners association. Please verify all information prior to purchasing. 55places.com is not responsible for any errors regarding the information displayed on this website.